Our office is located on the South East side of the round-a-bout at Maple and Farmington Rds. in West Bloomfield, Michigan. 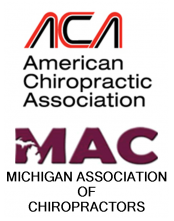 Our modern facility is conveniently located in near the neighboring cities of Bloomfield Hills, Novi, Farmington Hills, Farmington, Commerce Township, Orchard Lake and Walled Lake in Oakland County, Michigan. Our building is easily reached from either Maple or Farmington Rds. As a chiropractor, I specialize in providing high quality professional chiropractic services – to help patients feel their best. Consult us. We’re here to help!